Mirrorplants – a ‘flowerific photographic kaleidoscopic’ look at plants. 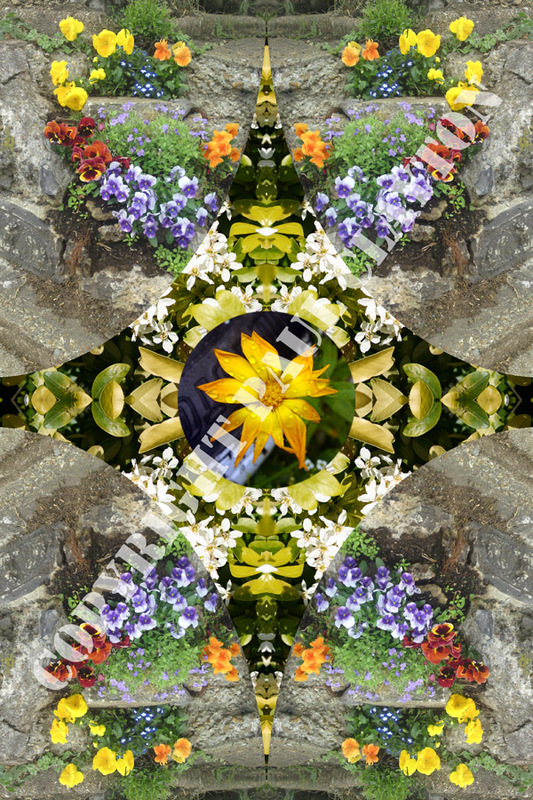 For the past year, I’ve been wandering around south east London photographing flowers and plants, making them into kaleidoscopic mandalas collaged together – if that is a lot to take in, just have a look at the collection so far. I don’t mind what kind of plant, shrub or flower I photograph to create the ‘mirrored plants’ – the Mirrorplants. These expanded images make the eyes look for more information, and create pattern from the very detailed and contrasted outlines of leaves, petals and stems. In every picture, there is a focus flower or plant, which breaks up the kaleidoscopic pattern with the familiar. These familiar images are aimed at giving people a small mandala type exercise. Mandalas are pictures for meditation where the focus of the eye is on the whole of the pattern and the focus is drawn into the centre as a focus point. It also means you can relax, I’m sure. The pictures are certainly eye catching and interesting. Please contact me if you are looking to license the images.